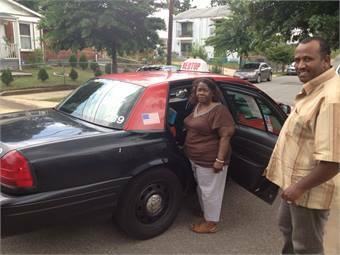 Taxis have been a partner to paratransit services across the country for many years. Washington Metropolitan Area Transit Authority (Metro) has used taxi service to supplement Metro Access Services, its paratransit service, since it began in 1994. Access Services has used several taxi companies over the years, each meeting its standards for driver training, a background in sensitivity to working with customers with disabilities, and maintenance and upkeep of the vehicles. Access Services covers Washington, D.C.’s eight different political jurisdictions, in addition to the federal government. Each of those cities and counties has its own level of taxi service, varying from a lot to none. “We consider them to be valuable players in delivering quality service to our customers,” Christian T. Kent, department of access services assistant GM, Metro, says. Several other transit agencies across the country have also supplemented their paratransit services with taxis, including California’s Orange County Transportation Authority, NYC Transit and Dallas Area Rapid Transit. Taxis can be used in two different ways, Kent explains. A carrier can give the taxi operator a set of trips the day before, or use them way that most people think of a taxi service: call them when you need them. 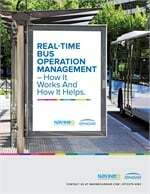 The taxi service has helped Metro maintain its on-time performance standards. If a van that’s picking up customers in a pre-set itinerary is running late due to traffic or any other reason, the agency has the option to prevent further lateness by calling a taxi company and giving trips to them. If the taxi is in the same vicinity as the customer, it can pick them up and completely avoid lateness. Operational flexibility is another benefit taxi service offers the provider. They can pick up customers in parts of Metro Access’ service area that are more remote. Additionally, in the cases of long-distance trips or those that take a long time to provide, it would be easier and more efficient to give them to a taxi rather than send a Metro Access van that already has other customers waiting on board, making everyone’s trip longer. “That makes everyone else’s travel on the van a shorter and more direct ride than it otherwise would be,” Kent explains. Taxi service can be a less expensive option depending how the operator’s provider agreement works, Kent says. Some transit agencies pay a flat rate per trip for taxi service. Metro pays by the mile, which means longer trips are more expensive. The average cost per trip is $50. That cost represents all of the expenses that Metro Access has to cover to provide the service in addition to what the taxi company charges. Rider feedback has been positive about taxis all along, Kent says. They say it feels like a more natural and basic form of transportation and like the convenience of the door to door service. Looking to the future, Access Services is working on adding taxi trips to take dialysis patients to their appointments and allow an open return in case a treatment is delayed. If possible, a taxi could take them home when they actually finish the treatment, preventing the customer from having to wait or change a reservation. In addition, dialysis customers would probably appreciate being able to call a cab when finished, because they’re tired, Kent says. Customers would probably engage more directly with the taxi company for that service instead of the paratransit reservation system, he adds.